What a wonderful Christmas Eve! Pine scent is in the air, I am off work and I just met a great artist; who could ask for more? I love stitchery and you all know I L O V E postcards! so what could be better than handmade fabric postcards. 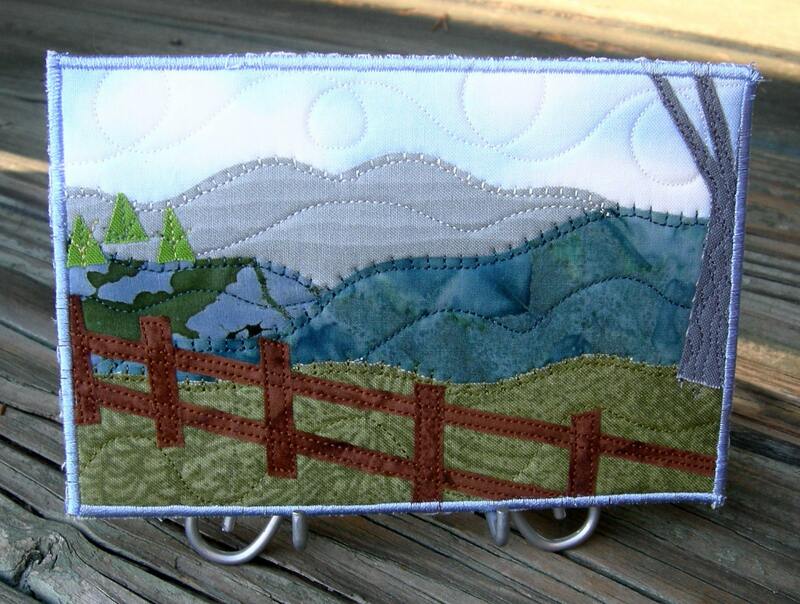 Linda Johnson, owner of Sew Upscale, creates these unique quilted postcards. I must confess that this is the first time I have seen a combination of the two arts and I think they are simply wonderful. Making quilted fabric postcards has been an obsession for about three years. I thought I would get over it, get bored and want to move to something new but I haven’t. I think it is because each one is so different. Soon after I joined Etsy in 2007 as a buyer, I started selling a variety of sewn items. I saw a quilted fabric postcard and taught myself how to make one. After that, I started selling the postcards on Etsy. I have developed a style I feel is unique. I’m very lucky to have a wonderful family that encourages my passion. I am retired from my job as a social worker so my schedule is flexible. I try to exercise regularly. I walk and hike. Also love to spend time with my grandchildren. I recently got a bread machine so I have been experimenting with making bread. Traveling is also a passion of mine. Sewing was the first crafting I can remember doing. My mother and grandmother both sewed so I learned from them. I’ve just always loved to create things. My creativity is driven by my surroundings. I love nature and outdoor stuff so these are my inspiration. I don’t use a pattern. I start with a 4” by 6” piece of fabric and build from there. I draw with scissors and paint with thread. A doll quilt made by my grandmother. I promote my work online by using Facebook and Twitter. My Facebook is http://facebook.com/SewUpscaleQuilts and twitter is http://twitter.com/sewupscale. My postcards are also sold at Mountain Made in downtown Asheville, NC. Thank you Linda for taking the time to do this interview. 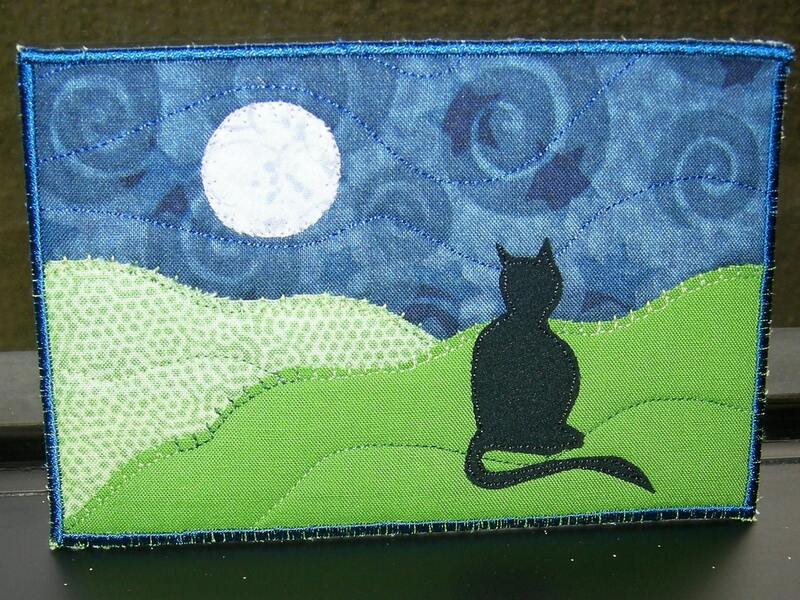 Please stop by Linda Johnson's cute little shop Sew Upscale to see more of her amazing art. Remember to add her shop to your favorites and circle too!